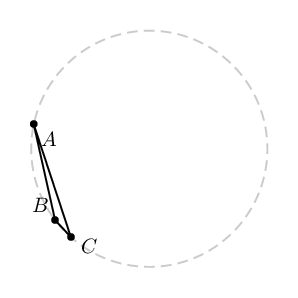 How to automatically place points names of a polygon on the bisector lines? the point names will be placed on the bisector lines. The below example is contradictory to the above statement. Now let us consider any polygon. How to automatically place points names of a polygon on the bisector lines? Not a reliable solution because the labels are sometimes inside the polygon. Please edit if you want to make it reliable. Not the answer you're looking for? Browse other questions tagged tikz-pgf pstricks pst-eucl tkz-euclide or ask your own question. How to remove PSTricks dictionary or library codes in an EPS file produced by dvips? 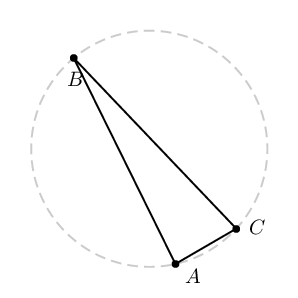 How to rotate the label such that its base line is parallel to the bisector? Place node a fixed length along a transparent bisector? 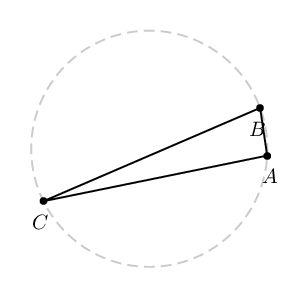 How to find points M and N such that AM=CN=BC only with a straight edge and a compass?